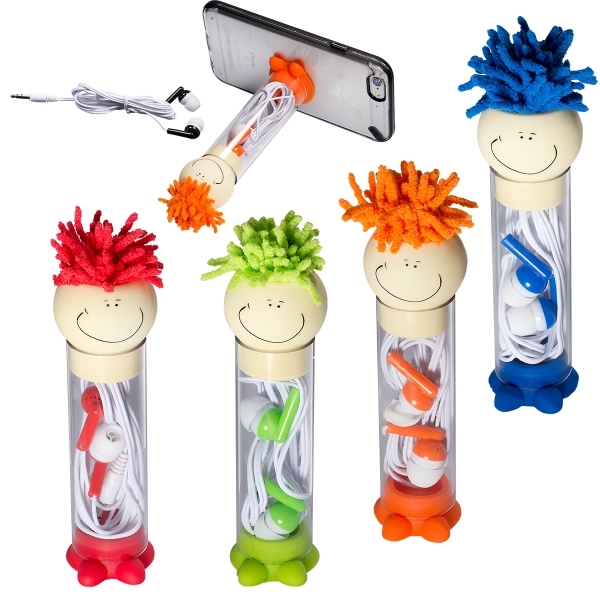 The adorable friend is a case for earbuds (included), phone stand and screen cleaner all in one. The clear AS plastic case comes filled with the earbuds (PVC cable and silicone buds) and helps keep them tangle-free. The MopTopper (TM) head doubles as a lid and the fabric hair can be used as a screen cleaner. The silicone base (shoes) can be used to position a phone so that recipients can see the screen well.